The letter came Saturday. I saw it on the counter when I walked in. My handwriting on a folded up envelope could only mean one thing. Shut In. I'd sent my registration in on the first day and thought for sure I would get in but this envelope had me thinking I had somehow been rejected. I opened it expecting to see my check but instead there was a sheet of paper confirming my spot. 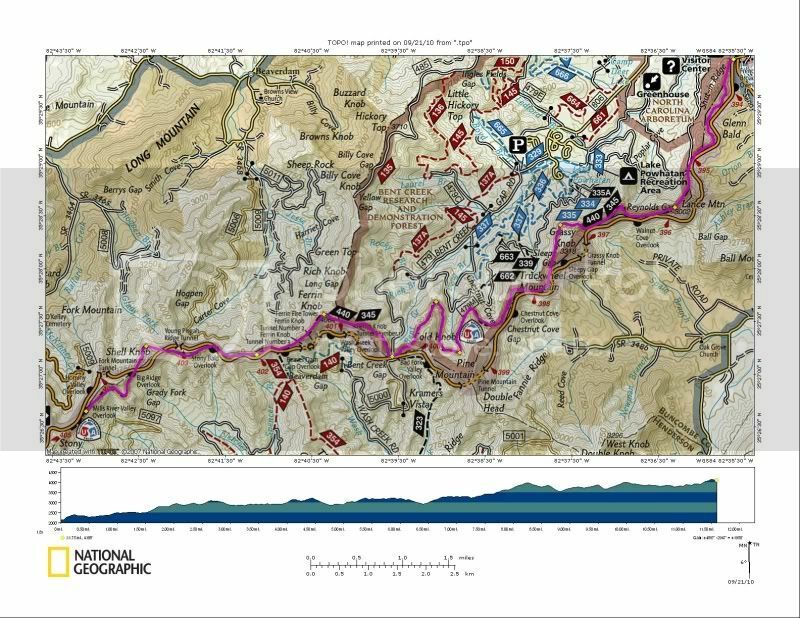 The flyer calls the race '18 miles of fun on a gently rolling course on dirt'. That sounded a little bit odd to me so yesterday I went out to make up for my abbreviated run Sunday and to see if Shut In is really gently rolling or just down right steep. I decided the best thing to do was to get a good taste of it starting at the beginning and running a half marathon or so. 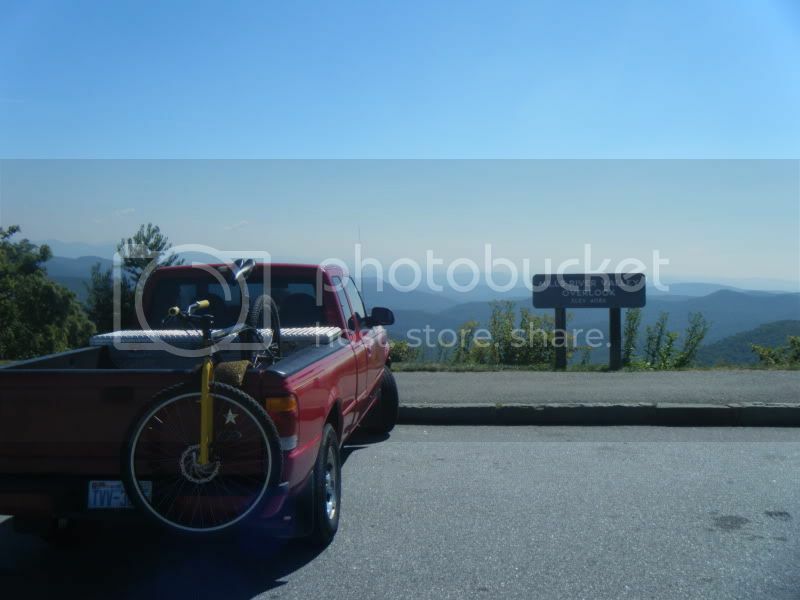 I loaded up the bike and headed up the parkway. 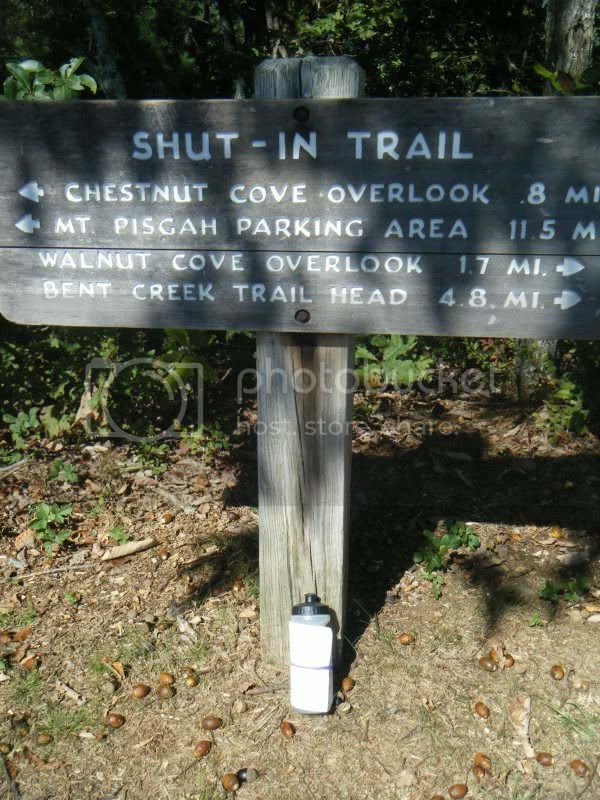 I stopped at Sleepy Gap and Beaver Dam Gap Overlooks and dropped a water bottle at each. 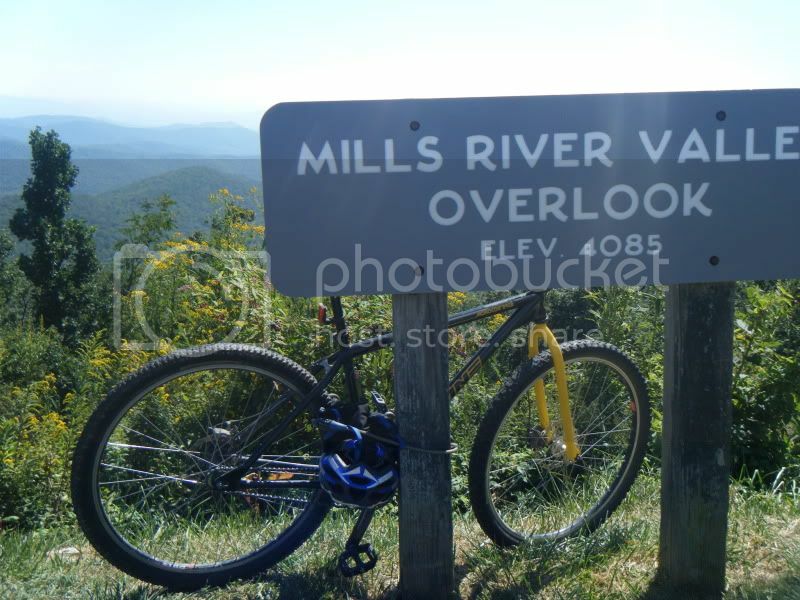 Then I went on up to Mills River Valley Overlook to drop the bike. After searching around for a suitable hidden tree to lock the bike to I instead opted to lock it the most obvious of places. From there it was back down the parkway in the truck. On the way down I couldn't help but wonder if I was really going to be able to run the whole way back up. I seemed to be driving down forever. What would running this be like? Well, it was indeed gently rolling. But it went on forever. At first it was all fun and groovy and then Bent Creek Gap was an impossible distance away. I'd hoped to be there in an hour and a half but it took me a solid 1:50. From there the climbing started in earnest with the thousand foot plus trip up to Ferrin Knob. I ran out of water and started hallucinating about cold drinks. I had a bottle at Beaver Dam and once I got to it quickly drank a third of it. There were some nice picnickers there who happily filled my bottle of ice while scratching their heads and looking amused that I had ran all the way up there in the woods and then would ride my bike back down. Some more gently rolling single track took me down and then back up again. This time to Shell Knob. Other than a few steep short pitches the trail really was gentle except it just kept going on and I found myself walking a lot. When I thought I should be back at the truck there was a sign that told me I still had 1.1 miles to go. Out of water once again I just put my head down and focused on moving forward. Then there was the bike and it was over. The Broad Wing Hawk migration was going on a few bird watchers pointed some far out in the distance to me as I unlocked the bike. The return trip should have been all downhill but along the way I had to peddle once or twice which was not amusing. When I got back to the truck I looked up and there was a hawk, circling right above me.